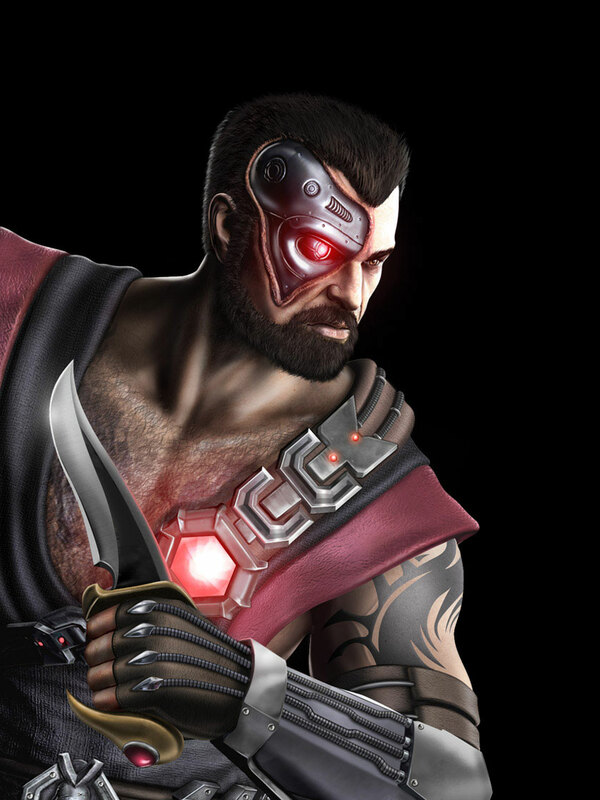 Kano is one of the playable characters in the Mortal Kombat fighting games since the first part of the series back in 1992 which was developed by Midway Games and first released for Arcades and is till today getting ports to new platforms. 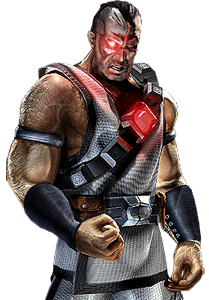 Kano returned in Mortal Kombat 3 (1995) with a new design but looked more traditional again in Mortal Kombat Deadly Alliance in 2002. 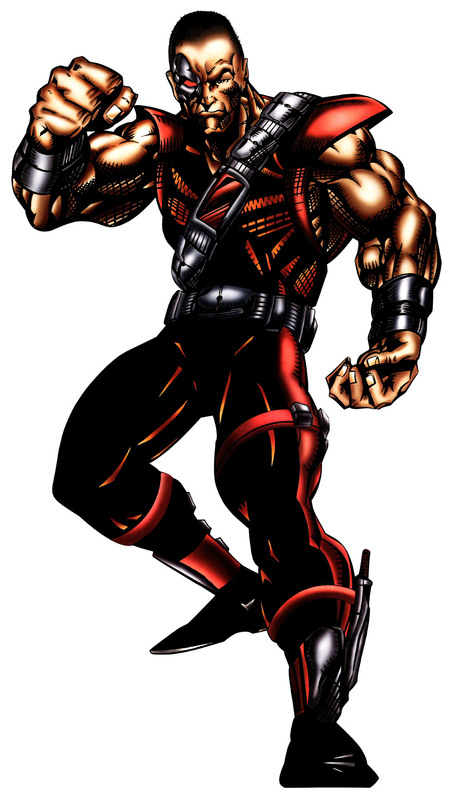 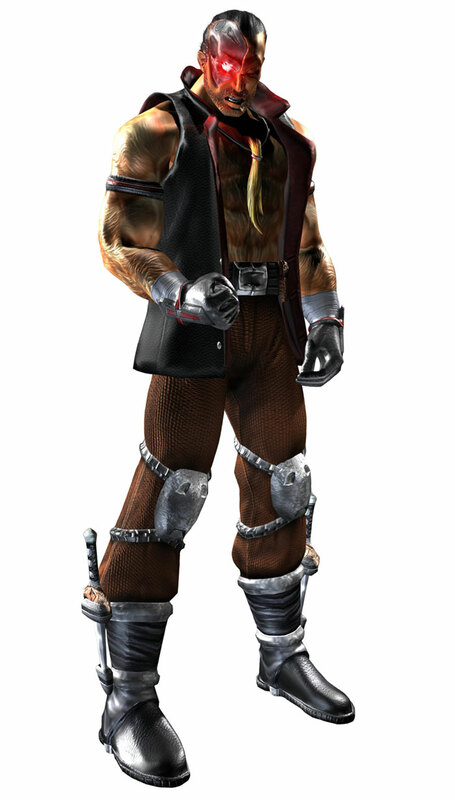 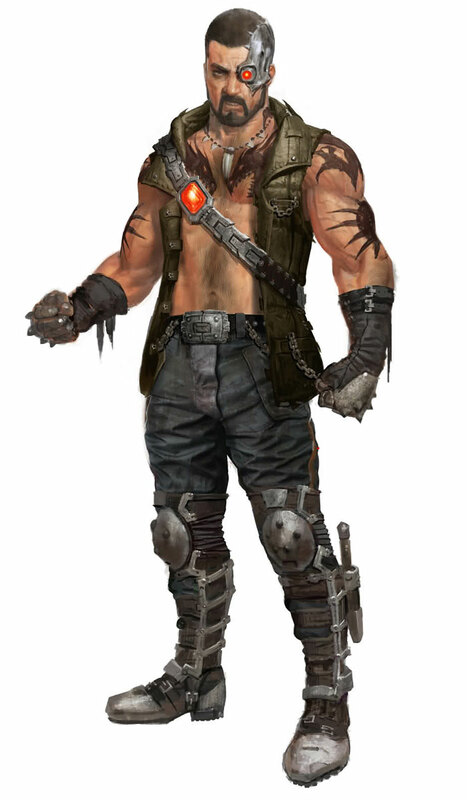 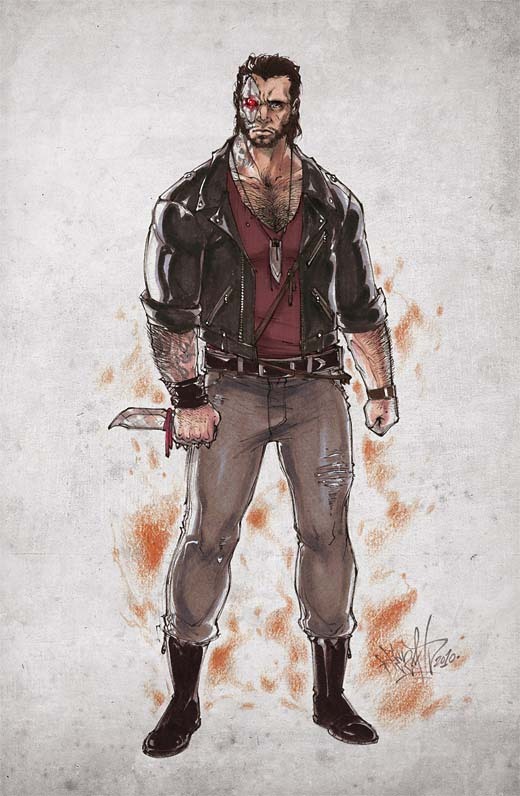 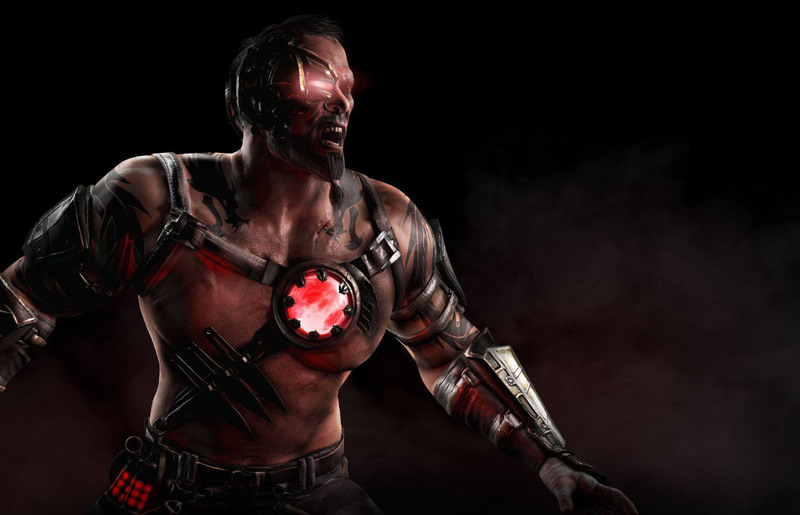 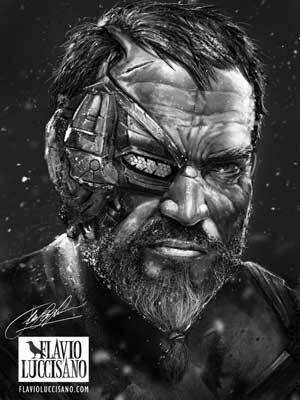 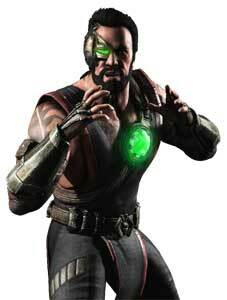 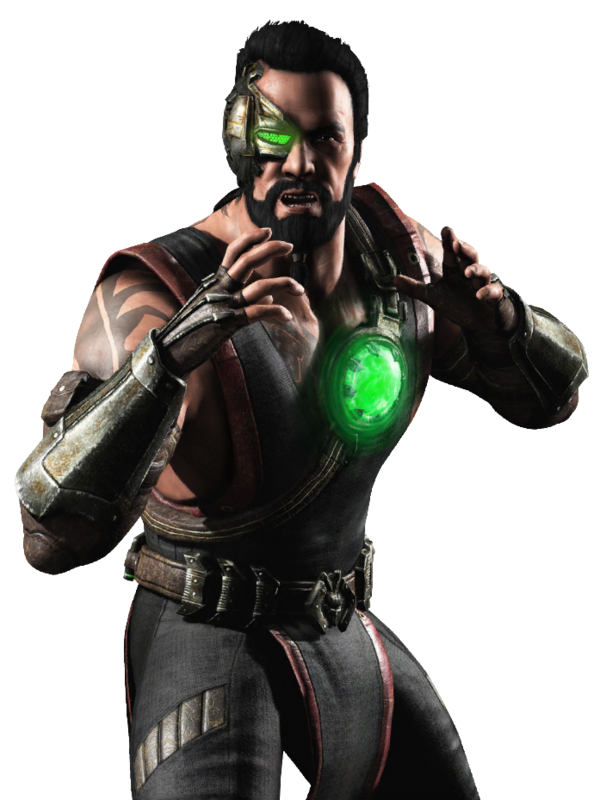 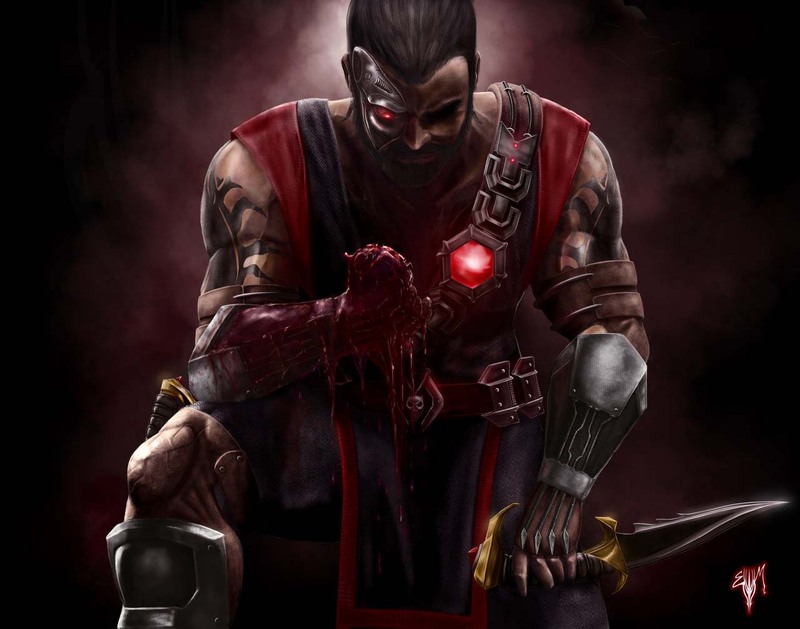 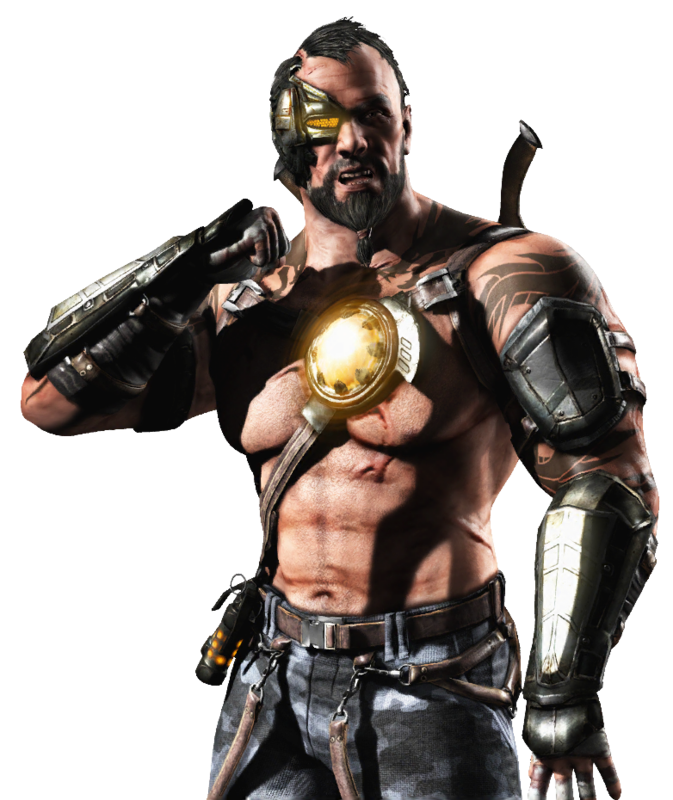 Kano was also chosen as one of the Mortal Kombat characters in Mortal Kombat vs. DC Universe in 2008, the last MK game developed by Midway Games Chicago. 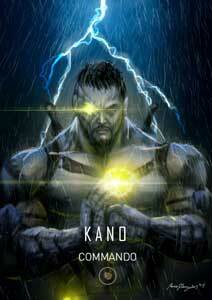 Kano is one of the last Black Dragon members, a criminal and terroristic Syndicate. He usually joins the antagonists of the games like Shang Tsung, Shao Kahn, and the Deadly Alliance. 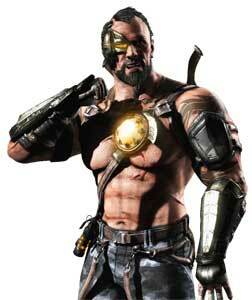 In MK vs DC Universe (2008) he had to fight with the good guys for a change though. 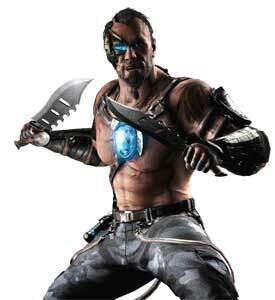 Kano has a Cybergenetic Eye and can shoot a laser from it, he has also lots of moves related to his Knife. 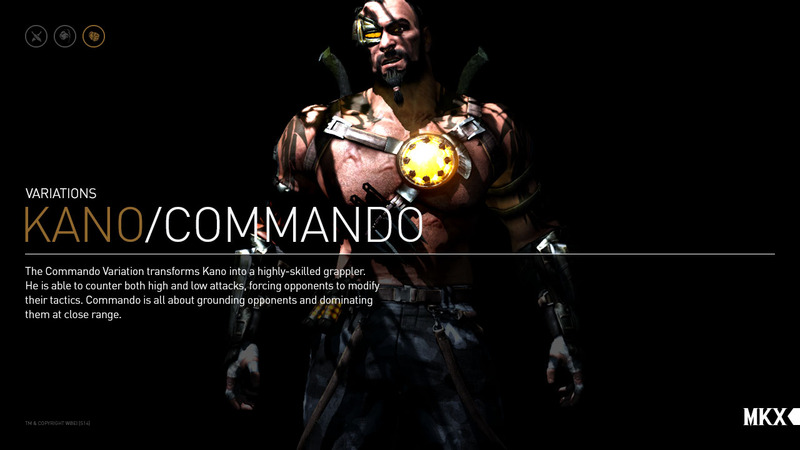 The Commando Variation transforms Kano into a highly-skilled grappler. He is able to counter both high and low attacks, forcing opponents to modify their tactics. 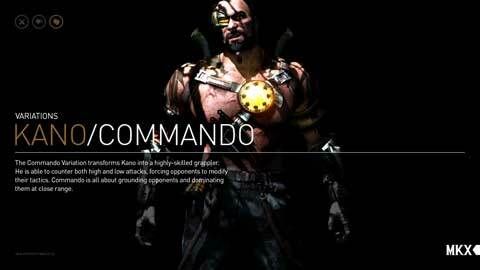 Commando is all about grounding opponents and dominating them at close range. 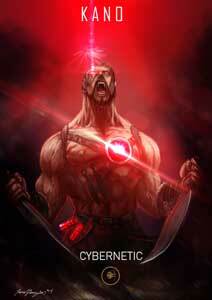 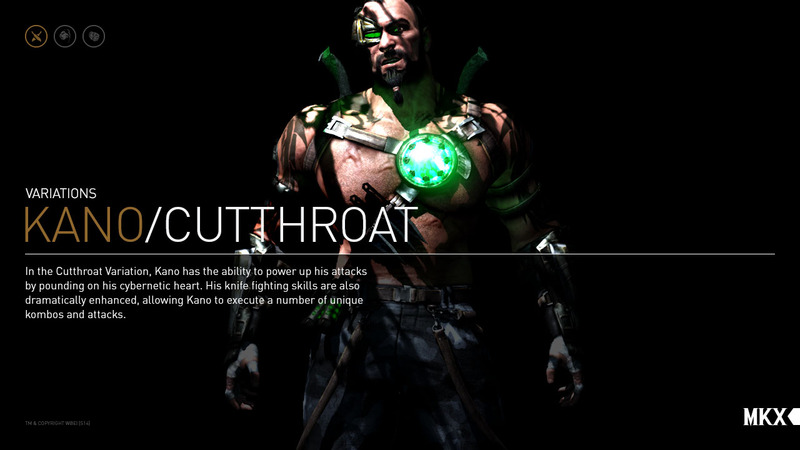 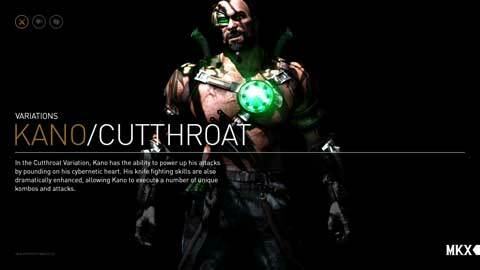 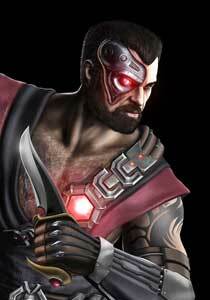 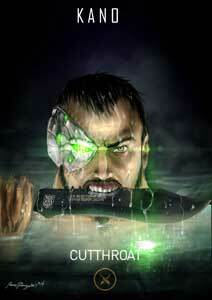 In the Cutthroat Variation, Kano has the ability to power up his attacks by pounding on his cybernetic heart. 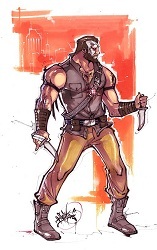 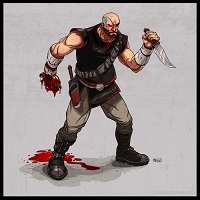 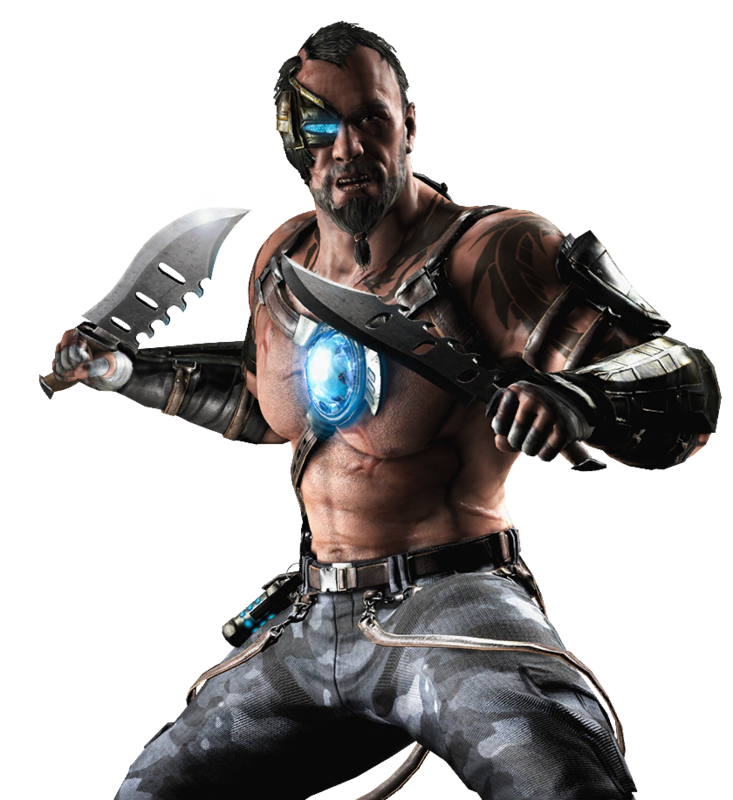 His knife fighting skills are also dramatically enhanced, allowing Kano to execute a number of unique kombos and attacks. 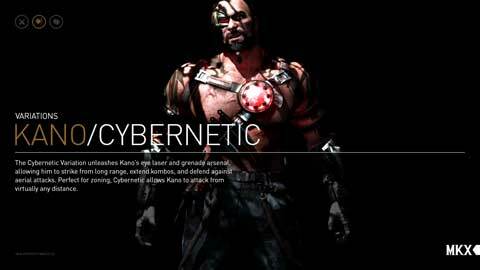 The Cybernetic Variation unleashes Kano’s eye laser and grenade arsenal, allowing him to strike from long range, extend kombos, and defend against aerial attacks. Perfect for zoning, Cybernetic allows Kano to attack from virtually any distance. 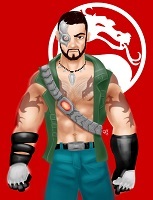 Kano is a part of our big Mortal Kombat Art Tribute and was drawn in all his different designs from Mortal Kombat 1-9 so far.